Polyvore is a fashionable and personalized shopping app which enables users to easily get fashion inspiration and discover the latest outfits. It is particularly friendly to new users and offers many blue arrows in most of its app pages to guide users when they first use and enter this app. And in Mockplus, you can easily add such sweet arrow guides by using“Arrow” components. And also do not forget to adjust the arrow radian and select different arrow types to make your arrows more beautiful and outstanding. 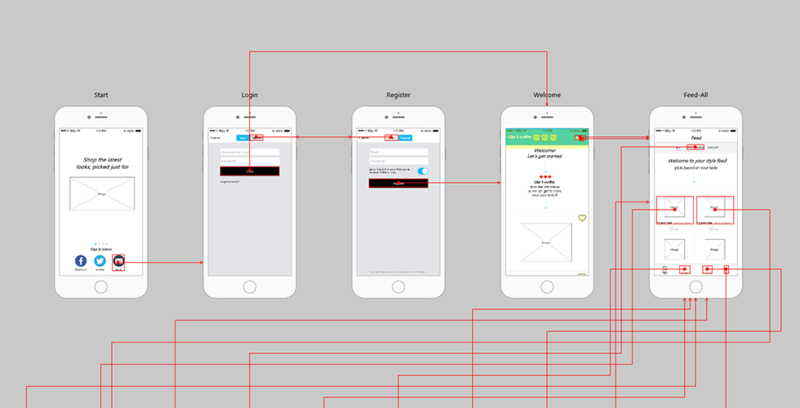 Pages of this prototype: Start, Home, Login, Register, Welcome, Feed-All and Browse, etc.